This Singaporean Hawker Food will definitely satisfy your taste bud. 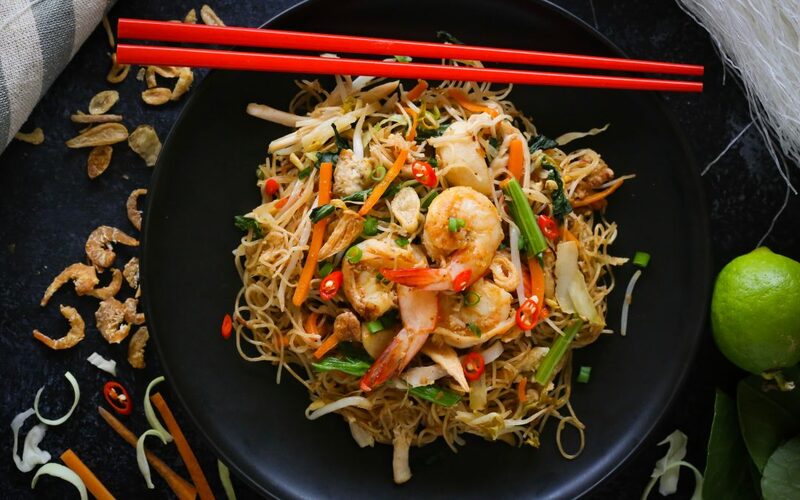 Using lighter version of carb, this stir fried rice vermicelli will not leave you bloated, but definitely make you want more. 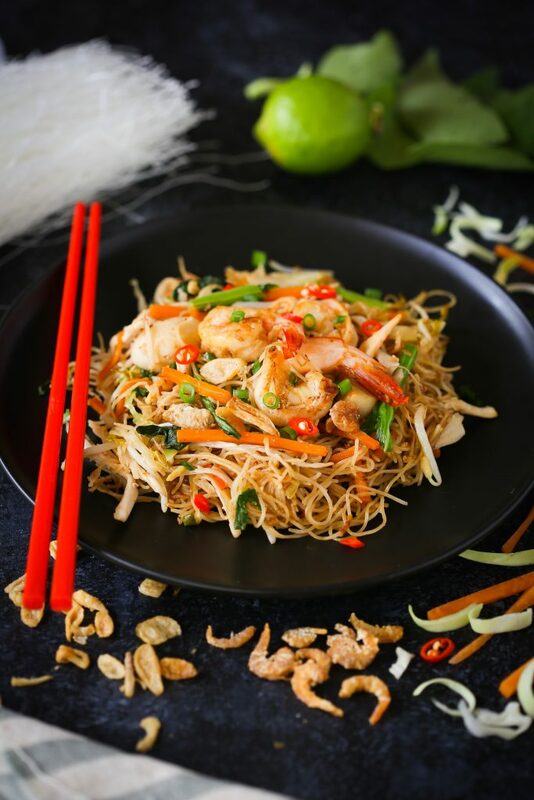 With charred prawns, shredded chicken, fish ball, egg, asian vegetables and dressing, it fulfills the rule of balance in Asian cooking. Give it a try and I guarantee that you won’t be disappointed. Heat wok / skillet until smoking. Add oil, and garlic, stir fry for 10 seconds. Add pounded dried shrimp, cook for another 30 seconds. Add fishball and prawn, sason with soy sauce, pepper. Add carrot, stir fry for 10 seconds. Add egg and scramble roughly, then season with salt and pepper. Add choy sum and cabbage, add oyster sauce. Add rice vermicelli, mix well with other ingredients, season with fish sauce. Add a splash of water if it’s too dry. Turn off the heat and transfer to plate. Garnish with fried shallot, cut chilli and spring onions.